For most perceptive Seattleites, Mount Rainier is a familiar sight. On a clear day the picturesque mountain graces our views. 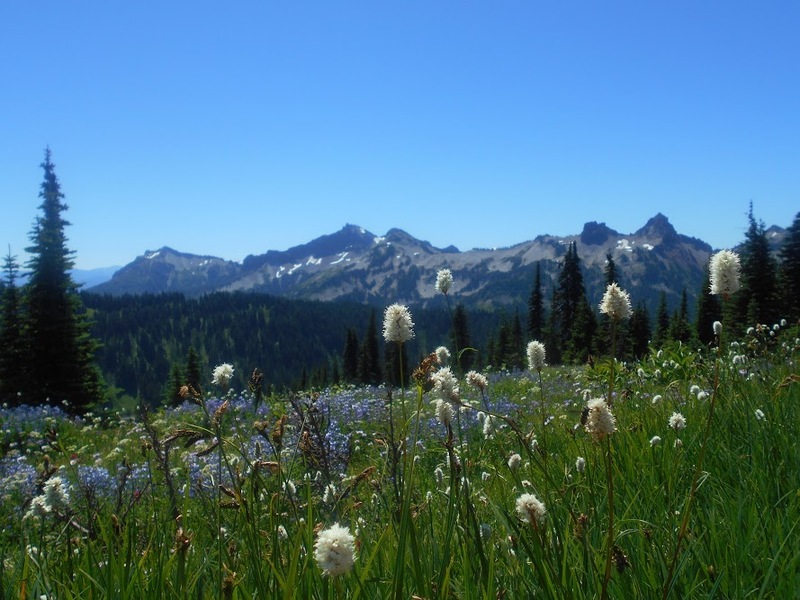 Mount Rainier National Park is a fabulous location for day hikes. Some of the In My Backyard team members went there for a day of hiking and research. There are several visitor centers at the park that serve as good starting points for hikes. We went to the Sunrise Visitor Center for our trip, but the Paradise Visitor Center is also a great location to begin a hike. Both of these visitor centers are starting points for many hiking trails that range in difficulty. Some of the hikes are super easy (even for me) and some of them are more challenging. At Sunrise, many of the hikes intersect so you can jump from hike to hike if you want to go to multiple locations. While at Olympic National Park with the In My Backyard team, Jimi (our graduate student intern from the Univ ersity of Washington) and I hiked the Sol Duc Falls trail. Being only .8 miles one way, the trail is quite short. However, once you reach the falls, there are other trails you can continue onto if you desire a longer hike. The Sol Duc Falls trail is relatively flat and short, but it is still beautiful. Throughout the hike we even stumbled upon several small creeks and waterfalls before reaching the bigger falls. Despite being a popular and at times crowded trail, the tall trees and moss covered everything help make the trail feel secluded and small. While on it, you feel as though you are in the heart of the wilderness, when in reality you are super close to the parking lot. 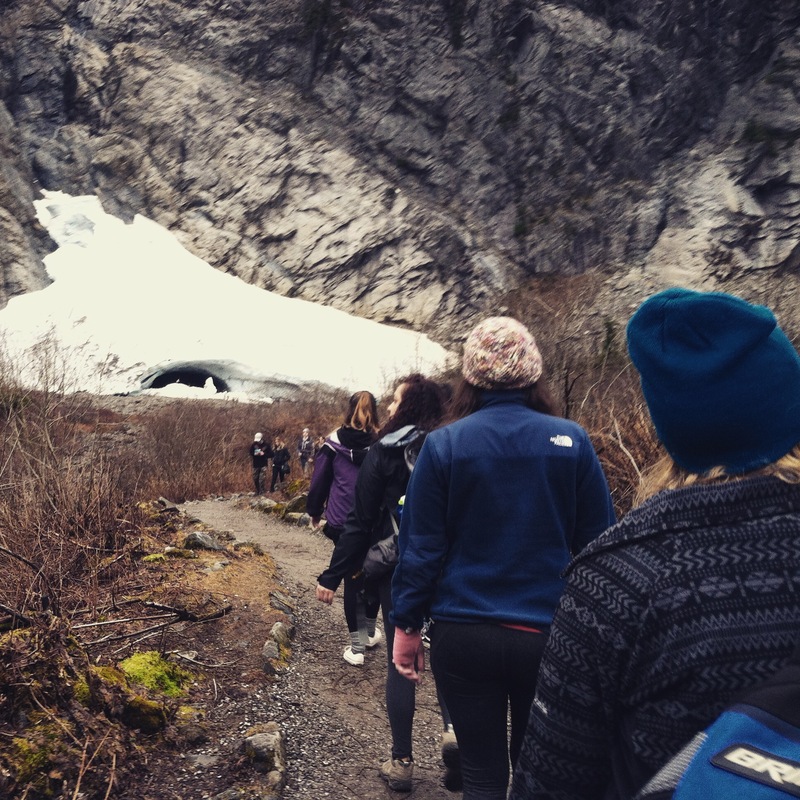 During our four-day trip to Olympic National Park, the In My Backyard Team headed to the Elwha River. Beforehand, we, the SCA interns had put together some research to share with the group about the history of the Elwha, the construction of the dam, and finally the dam removal which is scheduled to conclude in September 2014. To give you some background information, the Elwha is a 45-mile river on the Olympic Peninsula, intersecting the beautiful Olympic National Park. The river flows north to the Strait of Juan de Fuca. In 2012, the Elwha River dams, which had directly caused a dramatic decline in the salmon population, began to be removed. While in Olympic National Park our team decided to head to Hurricane Ridge for some hiking. Hurricane Ridge is about 17 miles from Port Angeles and is a quick and beautiful car ride. Hurricane Ridge has a visitor center with exhibits and films. There are also a few short meadow trails around the visitor center that are only .25-.5 miles. We decided to hike the Hurricane Hill Trail which is about 1.6 miles one-way and 700 feet elevation gain. If you’re anything like me, you have no concept of elevation gain and have no idea what 700 feet looks like. To clarify, 700 feet in 1.6 miles is moderately difficult. (But I am pretty out of shape so you can make your own assumptions). The Sol Duc Valley of Olympic National Park is known for its mossy rainforests, beautiful falls, and sulfurous hot springs. In addition to established trails such as Lover’s Lane, the area provides opportunities for off-trail adventures. Our group of interns sampled some of both options. While the others hiked to the Sol Duc Falls, Ranger Kelsey, Natasha, and I explored down river from the Sol Duc Hot Springs Resort. We started off by hiking down a service road away from the resort. The grass was a bit overgrown but it was still easy walking. Eventually, we took a right in hopes of reaching the river. From that point onwards, we were brush-bashing, or as it is more commonly called, bushwhacking. We wove through groves of trees, leaped over muddy puddles, and evaded prickly plants. Soon we reached the pebbly bank of the Sol Duc. At first, we avoided getting our feet wet which led to some tricky maneuvering over and under log jams on the river. My long legs gave me somewhat of an advantage when it came to jumping between logs but it was still quite a puzzle to figure out where to step next.